With Justice Kennedy’s resignation from the Supreme Court—and the Trump administration’s continued chipping away at protections for LGBT people—we must stand up for and with LGBT elders. Nearly 25,000 people from all 50 states have pledged to stand with LGBT older people in the face of religious-based discrimination, mobilized through SAGE’s Care Can’t Wait campaign. 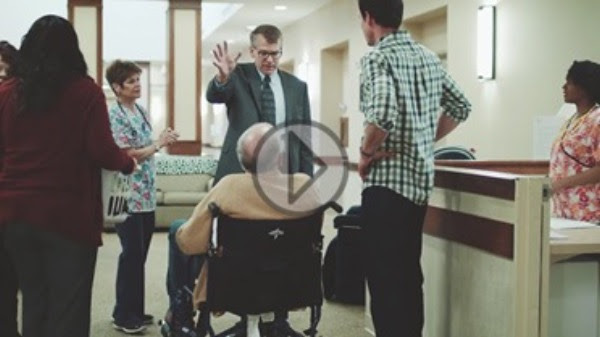 As part of the campaign, SAGE and the Movement Advancement Project created "Nursing Home," a video illustrating the harms LGBT elders can face if this kind of discrimination is allowed. If you haven't taken the pledge yet, it's not too late to sign on! As the older LGBT population continues to rapidly grow, we need trained care providers who understand the concerns of the LGBT community—and people are starting to take notice. Recent features in the Washington Post, the Chicago Tribune, and Caring.com take an in-depth look at the challenges faced by older LGBT people when seeking services and care. These articles underscore the vital need for SAGECare, our national LGBT cultural competency training credential program. Earning a SAGECare certification means a facility has ensured that it is ready to support and help LGBT elders thrive as they age. Nearly 300 providers are already certified, and more are in the works. SAGE’s Age-Friendly Pride Initiative mobilized Pride organizers across the country to make their celebrations more accessible to LGBT elders. Almost 100 organizations have signed on to the initiative, and our recently released "Welcome to Pride" guide will help reach even more Prides across the U.S. New York City’s Heritage of Pride, the organizers of that city’s annual Pride celebration, joined the Initiative and made this year’s New York City Pride more accessible for LGBT elders with reserved shaded seating, a cooling center, and a hydration station. For the first time in its history, this year’s 14th International Federation on Ageing (IFA) Global Conference will include a focus on LGBT aging. SAGE CEO Michael Adams will join aging leaders from over 70 countries in Toronto from August 8 to August 10. As part of the conference, SAGE and its partners will call on governments, industries, organizations, and individuals to protect the rights of older LGBT people. Join us in the global movement to combat ageism by committing to protecting the rights of LGBT older people.